Mount Fay is a mountain located on the border of Alberta and British Columbia on the Continental Divide in the Canadian Rockies. The mountain forms part of the backdrop to Moraine Lake in the Valley of the Ten Peaks of Banff National Park. 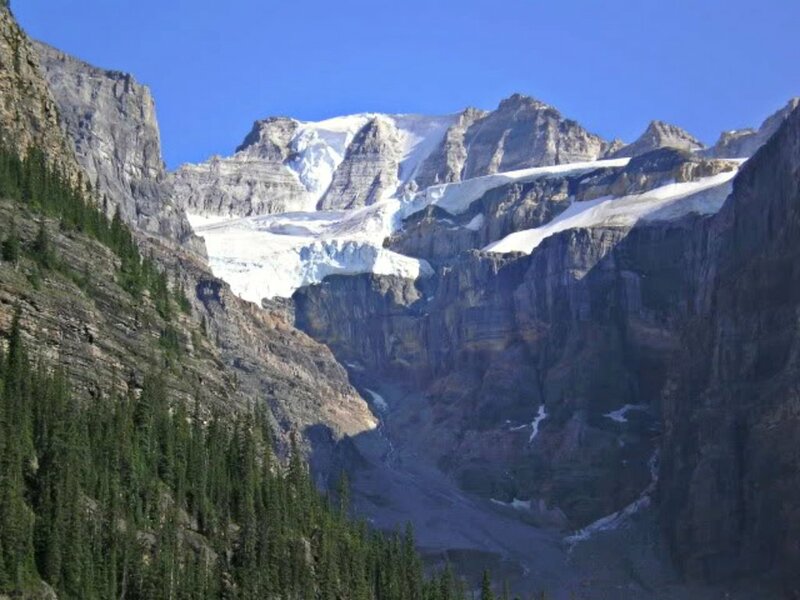 It was named in 1902 by Charles E. Fay, an early explorer of the Canadian Rockies. He was a member of the party who attempted Mount Lefroy in 1896 when the first mountaineer to be killed in the Canadian Rockies occurred. Do you have photos of Mount Fay or know something about it? Please let us know!